The DD Family Dentistry team led by Dr. Durga Devarakonda offers cosmetic dentistry procedures to address aesthetic and functional problems associated with discolored and stained teeth, cracked teeth, fractured or broken teeth, missing teeth, misaligned or crooked teeth, short/worn down teeth, teeth weakened by large fillings, noticeable silver fillings, large gaps between teeth, and aged looking teeth. We will create a customized treatment plan to help you create a beautiful smile that you are proud of. Call DD Family Dentistry and schedule an appointment for a smile makeover and address any concerns with the aesthetics of your teeth. As a part of your treatment, we offer the following procedures. 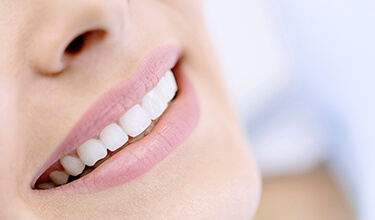 Dr. Durga Devarakonda, DFW dentist, offers porcelain veneers to mask stains, hide chips, correct misaligned teeth and close small gaps between natural teeth to create uniformity. Porcelain veneers look natural, and very little tooth preparation is necessary for their placement, because they are very thin and held in place by strong dental cement. Veneers are easy to place, maintain, and are long-lasting. Because dental porcelain is highly resistant to stains, your veneers will not discolor at the same rate as the natural teeth. 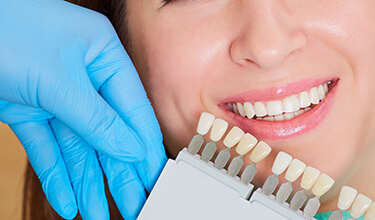 Veneers are typically placed over the course of two to three visits to our office. In the first, the teeth are prepared for the veneers and temporaries are placed. With images we’ve captured of your prepared teeth, the permanent veneers are created in a separate lab and then shipped back to us. You return to our office, where we remove your temporaries and check to make sure the veneers look, fit, and feel just like they should — and then place the veneers. We are also happy to offer dental bonding as an aesthetically pleasing solution for patients with chips, gaps and cracks in teeth. Dental bonding is an affordable, quick, safe, and long lasting method to restore teeth. The resin used for dental bonding is color matched to blend with the rest of the teeth, ensuring that the solution blends flawlessly with the rest of your teeth. To improve the appearance of your teeth with dental bonding, Dr. Durga applies the composite resin directly to the surface of the affected tooth. The resin is then sculpted into its most pleasing form as Dr. Durga artfully remakes the damaged tooth’s size, shape, shade, and overall appearance. A special curing light is then applied to the tooth for several minutes, hardening the resin into place for a lasting solution to dental damage. Current options in adult orthodontics make wearing braces more discreet and convenient than ever. Texas dentist Dr. Durga offers Invisalign to patients who are not comfortable wearing traditional metal braces to straighten their teeth. 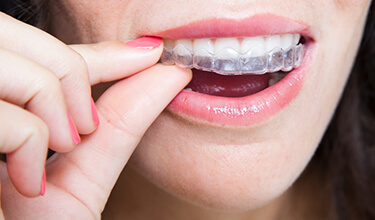 Invisalign can straighten teeth in less time than traditional orthodontic braces, and all for about the same cost as metal brackets and wires. Dr. Durga creates Invisalign aligners customized to your teeth. They are removable, so you can take them out to eat, drink, or for special occasions. Simply wear the trays for the recommended 20 to 22 hours each day, and advance to the next tray in the system every two weeks. You’ll be smiling your best smile before you know it! It’s natural for the teeth to become darker or yellow over time. Unfortunately, it’s hard to feel fully confident when your smile is not at its brightest. If you’d like to reveal a brighter, whiter smile, we can help with professional teeth whitening. Carrollton-based DD Family Dentistry offers both in-office and take home teeth whitening to our patients. Professional whitening is an effective method to brighten the smile for people whose teeth have been stained by tobacco, coffee, tea and other foods. In-office Zoom! Whitening brightens teeth up to eight shades in just a single, one hour treatment. At-home whitening results are revealed over the course of two weeks. The one that is right for you depends on your lifestyle, your budget, and your timeline. People who wish to reveal their results quickly (perhaps in preparation for a big event) often prefer in-office whitening, while the more gradual take-home treatment may be preferred for patients who are prone to teeth sensitivity. 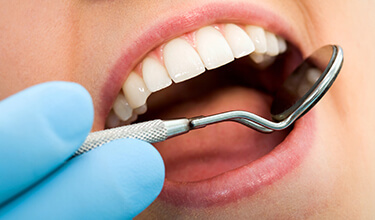 Dr. Durga provides full mouth restorations (or the smile makeover) through a combination of cosmetic dentistry techniques such as porcelain veneers, porcelain crowns, dental bonding, and teeth whitening and necessary restorative procedures. 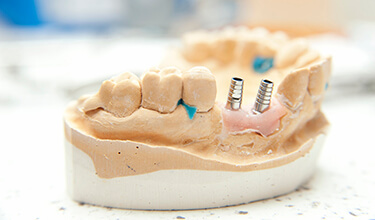 During a full mouth restoration, each tooth is restructured to achieve ideal bite. It is a time-intensive process that may take a few office visits to complete the procedure. 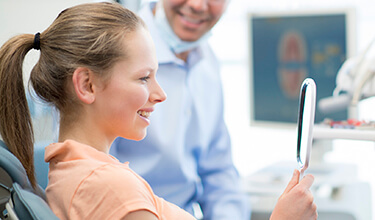 In addition to improving the aesthetics of your smile, full mouth restoration can help correct a number of problems such as: temperature sensitivity of teeth, sore jaw muscles, and recurring headaches or migraines, pain in teeth that move around, clicking/grating sound in jaw joints, limited jaw movement or locking jaw, unexplained loose teeth, worn/chipped/cracked teeth, facial/neck/shoulder/back pain, TMJ Syndrome, unexplained numbness in fingers and arms, and unexplained congestion or stuffiness in ears. Contact DD Family Dentistry and schedule an appointment to learn about the treatment options if you are suffering from one or more of these conditions.